The market for premium computer displays is gripped by a high-resolution fetishism of which the 4K standard at the forefront. In practice the UHD resolution, 3,840x2,160 pixels, is impractical for professional usage since most productivity applications fail to deal with scaling effectively, resulting in distorted or unreadable toolbars and UIs. In this instance professionals are more likely to make use of lower resolutions to strike up an optimal balance between screen size and resolution without the need for scaling. 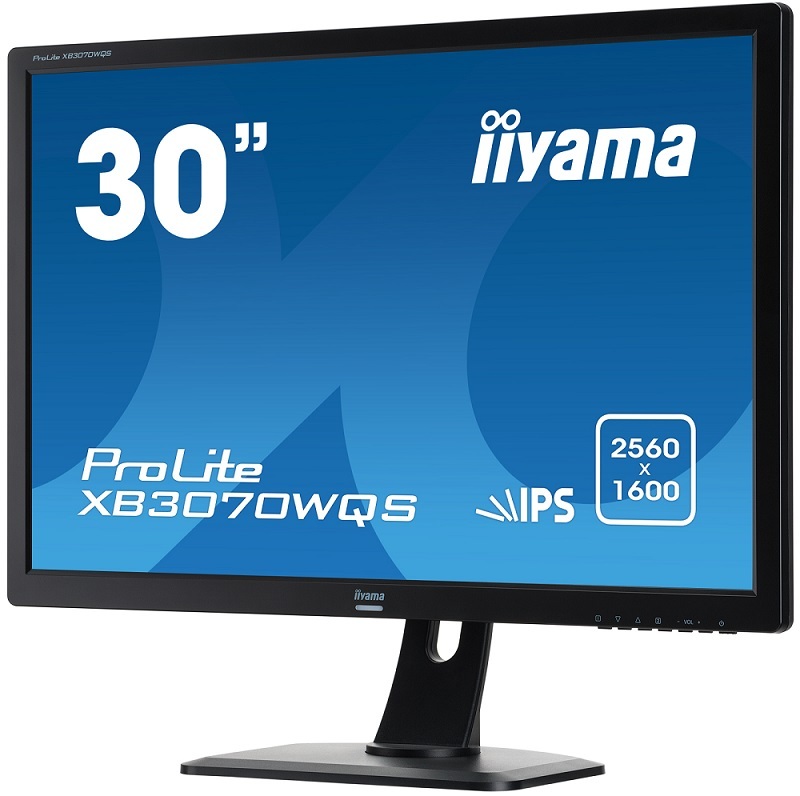 The iiyama ProLite XB3070WQS we're testing today epitomises that balance with a large 30in panel sporting a WQXGA resolution, or 2,560x1,600. 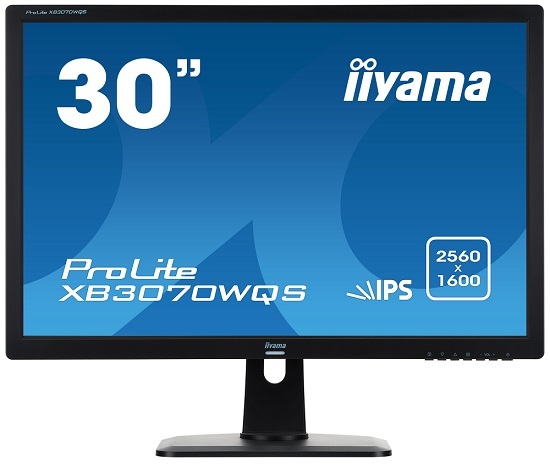 iiyama knows its target audience will be professionals in photography and videography, and the XB3070WQS boasts an impressive colour gamut to meet the needs of that audience - 146 per cent of sRGB, 109 per cent of Adobe RGB and 104 per cent of NTSC is a bold claim but a monitor that is tailored for colour-sensitive applications needs to be as highly capable as this. Surprisingly, iiyama makes no claims about the colour accuracy of the display which is an important requirement for a professional audience. In colour-sensitive environments a Delta-E value close to 1 is ideal, anything above 2 doesn't cut the mustard, and values above 3 should only be found in affordable consumer panels. Testing will reveal just how capable this panel really is. The XB3070WQS makes use of an AH-IPS panel capable of a 5ms typical response time, 1,000:1 contrast ratio and 178-degree vertical and horizontal viewing angles. 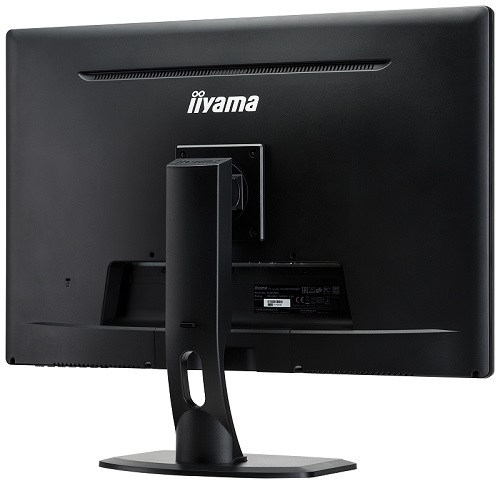 iiyama has paid minimal attention to aesthetics - the monitor is as plain as they come with an all-black colour scheme and a thick plastic bezel, but the company does tick some boxes with physical tactile buttons rather than the fiddly touch buttons found on many other displays. A large 30in monitor entails a heavy-duty stand to support its weight. The XB3070WQS has pivot, vertical tilt and height adjustment, although it cannot be tilted into portrait mode. There is a VESA mount at the back for users who'd rather wall-mount or install the display onto a monitor stand with more functionality. The basic range of display connectivity is well-catered for with DisplayPort, VGA, DVI and HDMI plus a headphone jack and audio-in port for the integrated pair of 3W stereo speakers. A lack of a USB hub and additional display connectivity to enable picture-in-picture or picture-by-picture is a little disappointing for a monitor of this class.